The Long Island Bridal Expo, the #1 choice for Brides and Grooms for the past 27 years, provides the opportunity to meet between 35 and 40 Top Wedding Professionals at every show including: Photography, Videography, Wedding Gowns, Flowers, Favors, Bands, DJ’s, Cakes, Invitations, Tuxedo’s, Hair & Makeup, Jewelry, Photo Booths, Tuxedo’s, Wedding Planners, Caterers and much more! There is a Live DJ showcase at each show featuring 3 of Long Islands Top Entertainment Companies. See a Spectacular Fashion Show hosted by Village Bridal & Boutique. The fashion show features a variety of wedding gowns, bridesmaid dresses, evening gowns and flower girl dresses. Village Bridal & Boutique’s presentation will feature select items from top designers. An excellent opportunity to see today’s hottest styles and trends. 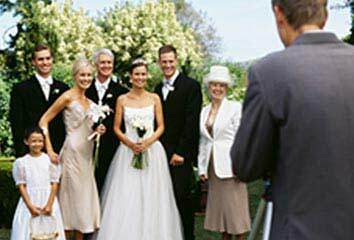 Village Bridals expert wedding dress consultants will work with you to find the perfect wedding dress, bridesmaid dresses. Win a Free Wedding Gown from Village Bridal & Boutique.